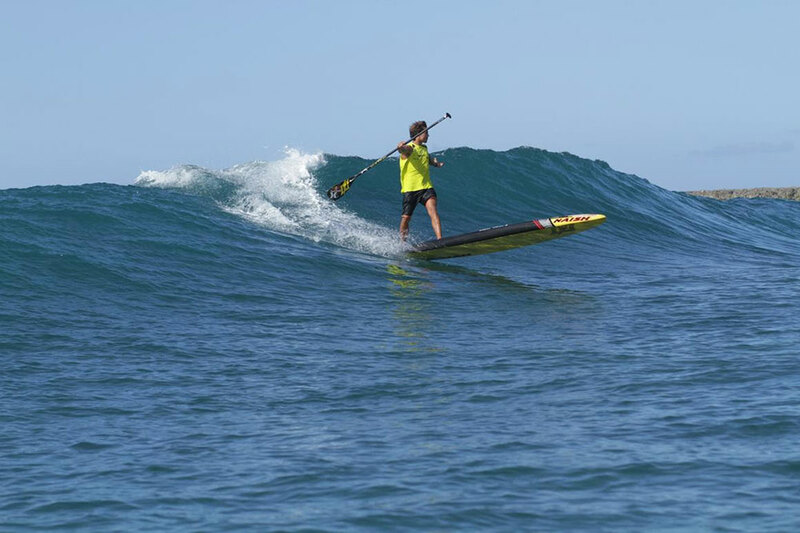 Kai Lenny (Naish) came into this final event with 2 wins and a second under his belt, needing to get a 3rd place or better in this Final event of the year in order to secure the 2015 World Racing Title. 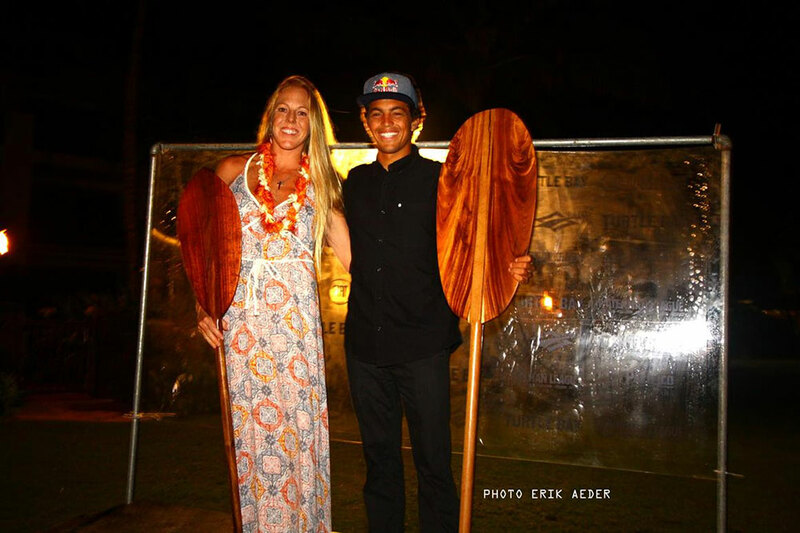 With a dominant performance in the World Series Sprint Racing on the final day of action at Turtle Bay, Kai was able to secure the event win, his 3rd of the season, and in doing so, the 2015 World Championship Title. Kai is without doubt the most dominant competitive athlete in the sport so far, with 4 Surfing World Titles under his belt and now 3 for Racing, and it should be noted, that since the inception of the World Tour back in 2010 (when he entered his first event as a wild card at Sunset Beach), there hasn’t been a single year he hasn’t held a World Title, securing both Racing & Surfing Titles in 2013. An incredible achievement by this young World Champion and one thing is clear, it has only just begun, as Kai is only 23 years old! Meanwhile in the women’s, Candice Appleby (Infinity) was officially crowned World Champion at the World Series Finals at Turtle Bay, presented by Naish with her final win of the season capping a truly dominant year on Tour. This was her maiden year on the Stand Up World Series, and as one of the most dangerous double threats as a competitor across both Surfing and Racing, there is no doubt that Candice will be looking to secure another racing World Title in 2016, but also a Surfing World Title, strengthened by the confidence gained from her performance in 2015. We look forward to seeing Candice back in Hawaii for the World Tour Opener of the 2016 season in February and congratulate her on what has been an incredible year. Make sure to check out all the highlights and photos from this weekend’s racing, but also from the entire season by scrolling through the playlist on the front page of www.watermanleague.com and checking out the galleries. In the meantime, stay tuned for the build up to a massive new season in 2016, as the professional platform is stepped up to a whole new level. An incredible weekend of action for the newly crowned World Champion to cap an impressive year, as Kai will return to Maui and make the most of what is predicted to be a magical winter surf season here in Hawaii. Connor Baxter (Starboard) put on a dominant performance on Day 1 of the World Series Finals presented by Naish, with a solid 4 minute lead over 2nd place finisher Kai Lenny (Naish). However, Connor knew that he would have to pull out all the stops in order to secure the event and World Title for 2015, especially coming up against Kai once again in the Sprint Racing format. Connor made his way through the rounds to the Final, so it would once again, like in 2012 & 13 come down to this final heat to decide the Title, as he, Kai and Zane Schweitzer (Starboard), blasted off the start. While Kai was able to establish a bit of a gap early, the door was still open for Connor to catch up, especially as a large set wave came through as they headed in on the first lap and could have potentially given him the push he needed. However, in an uncharacteristic turn of events, both Connor & Zane went down on the wave that could have saved them, effectively putting them out of the running for the finals, leaving them in 7th and 8th respectively for the sprints. However, it was enough for Connor to secure 2nd place behind Kai in the event, having to settle for 2nd place overall for the year, as he will now turn his attention to the winter surf season, but also prepare himself to earn back the yellow jersey and the coveted spot at the top of the World. For those in the know, Bullet Obra has long been regarded as one of the most talented up and coming Stand Up Paddle surfers out of Hawaii, with a Finals finish in the 2011 Hawaii Island Finals, but more recently, with a solid finish in Tahiti earning him the coveted AIr Tahiti Nui best barrel award. However, this year, the world’s best have been taken aback by a new face on the racing scene, as Bullet has stepped up beyond what anyone could have imagined and immediately established himself as a major threat in both distance and sprint racing. After an impressive finish at the US Open of Stand Up Paddling last month, Bullet returned home to Oahu’s Fabled North Shore, to put on a performance to remember, with a 5th place finish in the long distance followed by a podium finish (3rd) in the sprint racing to secure 3rd place overall for the event. It is now clear that Bullet is no longer the dark horse coming into the World Series in 2016, but he is now well and truly a major force to be reckoned with as we see this double threat step up to do battle and take down the world’s best. Candice Appleby (Infinity) has a lot of reason to smile – she has had an incredible year on the World Series this year, with an unbeaten record for the year and another strong finish here at Turtle Bay. However the World Series Finals was perhaps her toughest battle yet, as she came up against an on form Fiona Wylde (Starboard) who took the long distance victory in dramatic style. While the pressure of securing the World Title was off, Candice is one of the fiercest competitors in the sport, as she stepped up to do battle on the final day of competition with refreshed vigor and commitment. The first heat was tough for her, with Fiona once again taking the win, but a dominant performance in both heat 2 and 3 was enough to secure her the victory in the World Series Sprints, leading to a tie between her and Fiona with a win a piece for the overall event Title. Utilizing the comparative time analysis, it was determined that Candice had won by 6 seconds over Fiona (when multiplied up to match the long distance timing), allowing her to secure victory at the 2015 World Series Finals at Turtle Bay presented by Naish, and making it 4 wins from 4 this season. Fiona Wylde (Starboard) kicked off her year by earning her place in the Main event of the World Tour Men’s competition at Sunset Beach by getting through the Open Trials in solid surf. She then attacked the World Series season with strong finishes in both Japan and California, before heading out to Hawaii for the prestigious World Series Finals at Turtle Bay, presented by Naish. Day 1 saw a truly dominant and unprecedented performance from the young talent from Oregon, as she stole victory and finished over 8 minutes ahead of the next competitor Candice Appleby (Infinity) in the challenging course from Turtle Bay to Haleiwa. Moving onto the World Series Sprints on day 2, Fiona knew what she had to do, with a strong finish in heat 1 out of 3. However a mistake in heat 2 put her back, in particular as far as the gap behind Candice was concerned, and then again in heat 3, where Candice was able to breakaway to take a solid win. In an incredibly close margin, Fiona was edged into 2nd by the smallest of margins, having to settle for second overall for the event, but also in the overall World Rankings, as Fiona once again establishes herself as won of the strongest female competitors in the world. Sonni Honscheid has long been regarded as one of Europe’s leading lights, spending much of her year on the beautiful island of Maui, but also back in her home country of Germany, and once again showed her strengths, particularly when it comes to distance paddling on Day 1 of the World Series Finals. 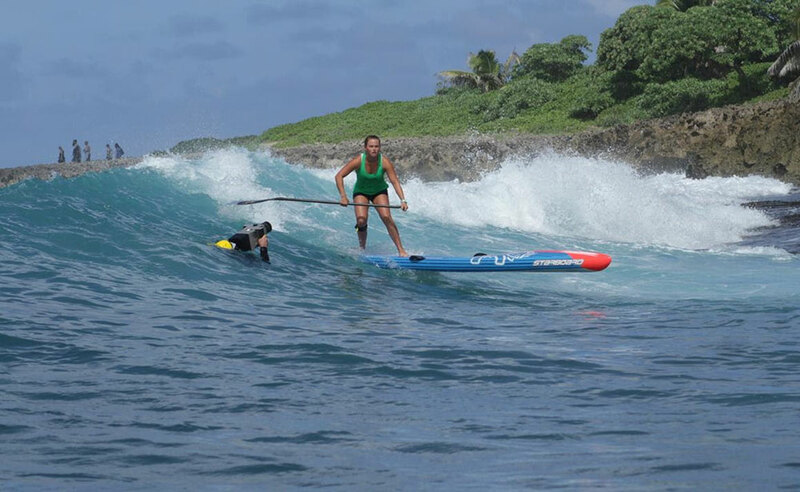 Having said that, Sonni is equally as comfortable in the surf, putting on a solid performance in the World Series Sprints that allowed her to secure 3rd place overall for the event. 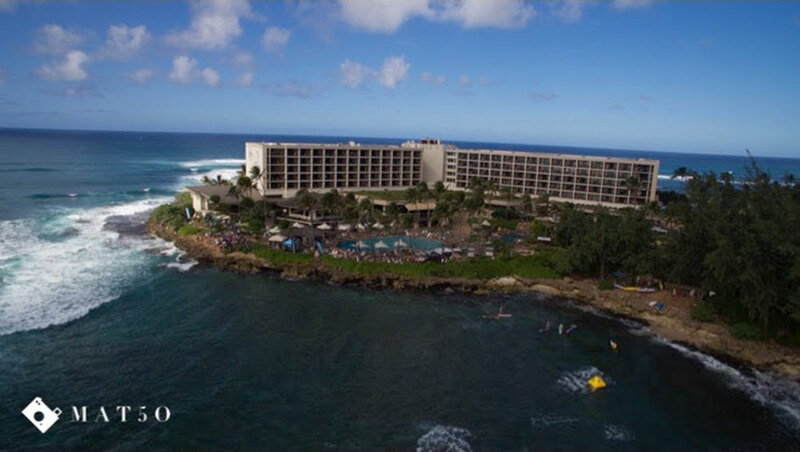 One of the most exciting components of the World Series Finals at Turtle Bay, presented by Naish is the opportunity to see the stars of the future at play in Kuilima Cove for the Na Kama Kai Youth Challenge. 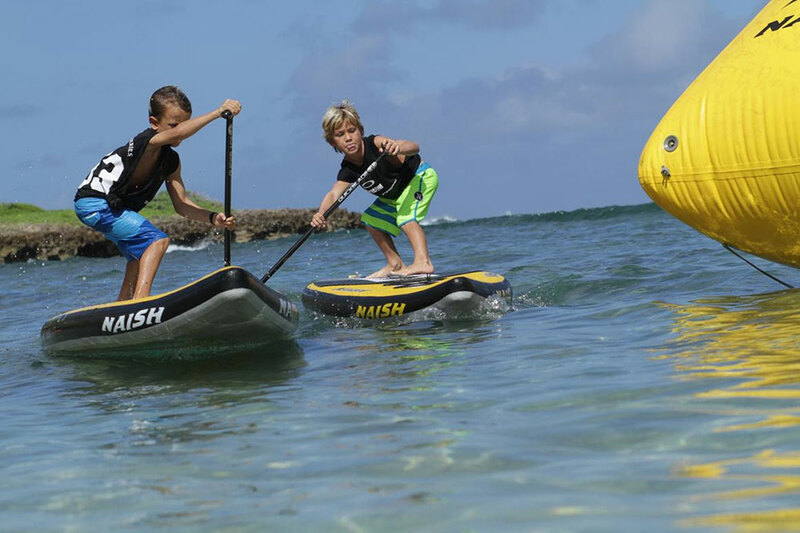 This year’s event saw under 10 and over 10 year old divisions, all competing on Naish One inflatables for a chance at victory here at Turtle Bay with World Champions watching on. In the end, it was Marley who won in the Over 10 division, with Trevor taking victory in the Under 10s. While you might not have heard of these names yet, you will soon, as these young athletes are the stars of the future and will be the ones that the likes of Kai Lenny (Naish) and Candice Appleby (Infinity) will pass on the torch too when the time is right. While the conditions were not as radical as they were at the 2014 World Series Finals, they did provide a unique showcase of World Championship Racing at its very best and a magical spectacle for viewers on site and online. With beautiful and groomed conditions for the World Series Sprints on Day 2, we saw some incredibly exciting racing and the World’s best stepping it up once again for the World Championship Titles and for the thrill of competing in Stand Up Paddleracing’s ultimate arena at Turtle Bay. We would like to thank our sponsors of the World Series Finals, from our Host, Turtle Bay Resort, to our presenting partner, Naish, FIAT and their all new 500x, Pacifico and locally here in Oahu, Surf’n’Sea, your North Shore stop for all things Stand Up Paddle. 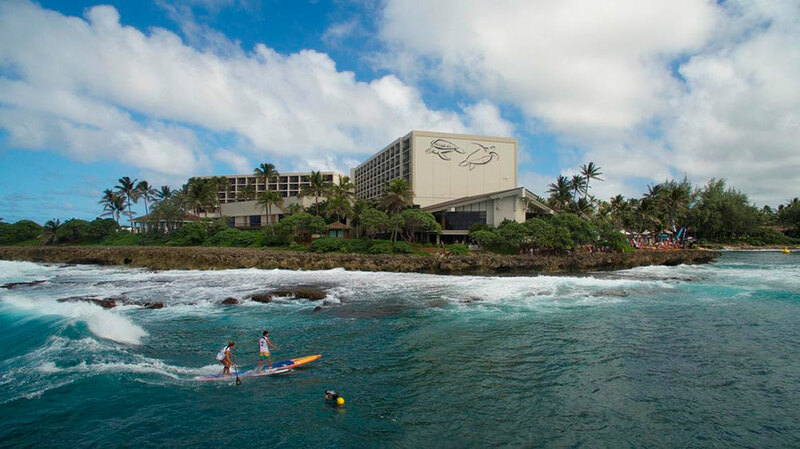 Turtle Bay Resort is the official global headquarters for the Waterman League and it is also where the World Surfing Tour starts and World Racing Series ends, as it continues to celebrate its unique connection to water sports and culture here on Oahu’s Fabled North Shore. As we look ahead to 2016, there are major developments afoot for the Waterman League, as the Tour & Series will witness a major step forward for 2016 and beyond, all starting with a return to Sunset Beach here on the North Shore from the 8th – 20th February for the 7th edition of the World Championship Surfing Tour Opener. 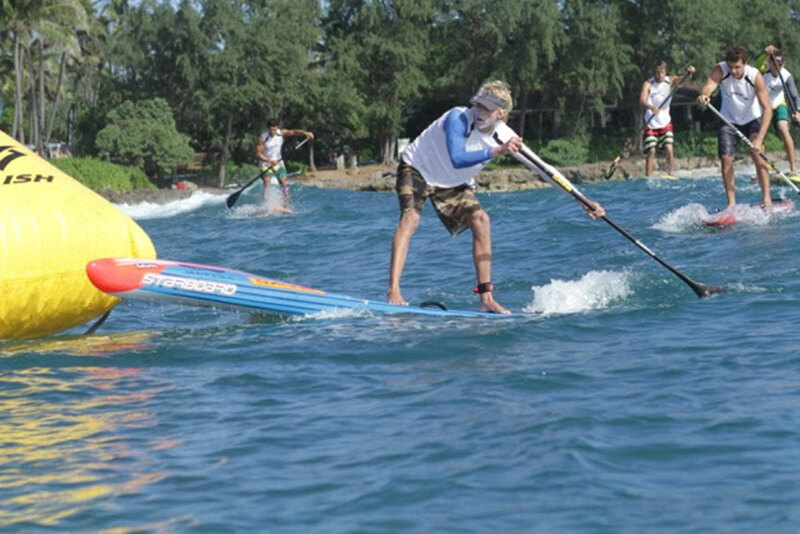 Next articleZane Schweitzer Paddles With Hundreds Of Dolphins!